Entrepreneurs A Brewing! 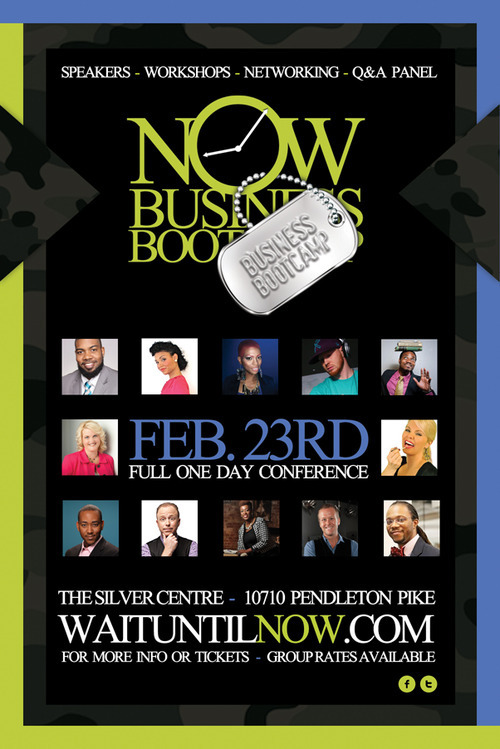 A Must Attend Event: NOW Business Bootcamp! The NOW Business Bootcamp is a one day seminar that will be held in Indianapolis, IN on February 23, 2013. This seminar will be full of motivation, information and business and marketing best practices that will be shared by a line-up of awesome, established entrepreneurs! Any and everything that you will want to know about this event can be found at the website http://waituntilnow.com/. The venue where this event is going to be held is a gem, in itself, so attending this event, is almost like going to get your gold before it is advertised and everyone else figures out that it is there. Location, information and a professional setting, will all be present. So if you like to be on the cutting edge, attending this event, will be a win, win and another win for you! Read further for a list of Top 10 Reasons that you should attend. This list was created by one of the NOW Business Bootcamp event planners, Joseph Allen Woods. Below you will find the no nonsense meat and potatoes of why YOU should be at the NOW Business Bootcamp. 10. You understand what VALUE is and realize that the registration fee is actually very small compared to all that you're getting. Besides, spending your money on those Mrs. Carter World Tour tickets will only make HER more money, not YOU. *message* Invest in yourself. 9. You already know everything about everything, but you just want to make sure no one has changed all the knowledge behind your back. 5. Your idea of a business plan is: A. Start a business. B. Make lots of money. Which is great but, uhhm.. you need just a little more info… ahem. 4. You've seen the list of business rock stars who will be speaking and you want to get the secrets of their success. 3. You're tired of selling dresses that smell like antifreeze out of the trunk of your car. 2. If you're selected at PitchFeast, you could walk away with several hundred dollars to grow your business. 1. It's possible to change your entire life in ONE DAY. 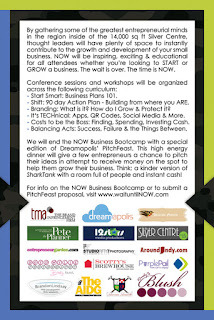 For specific details and more information on the NOW Business Bootcamp visit the site http://waituntilnow.com/. Notable Styles and More is interested in 7 other business owners that would like to purchase the table deal, for $37.50/person and do so by the Early Bird Registration deadline of February 14th. Please email me at eic@notablestylesandmore.com if you are interested.